On 23 November 2018, the local community gathered to celebrate World Hospice and Palliative Care Day at the Sapphire Addis Hotel, Addis Ababa. 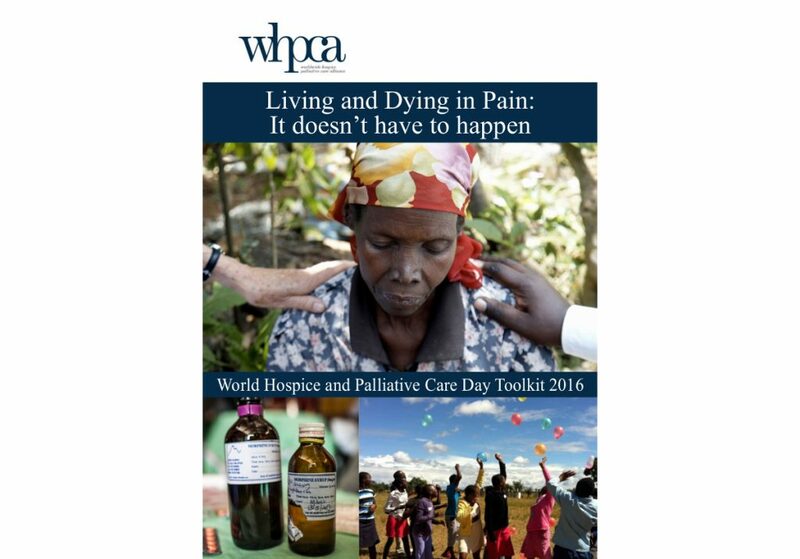 World Hospice and Palliative Care Day is celebrated worldwide each October. 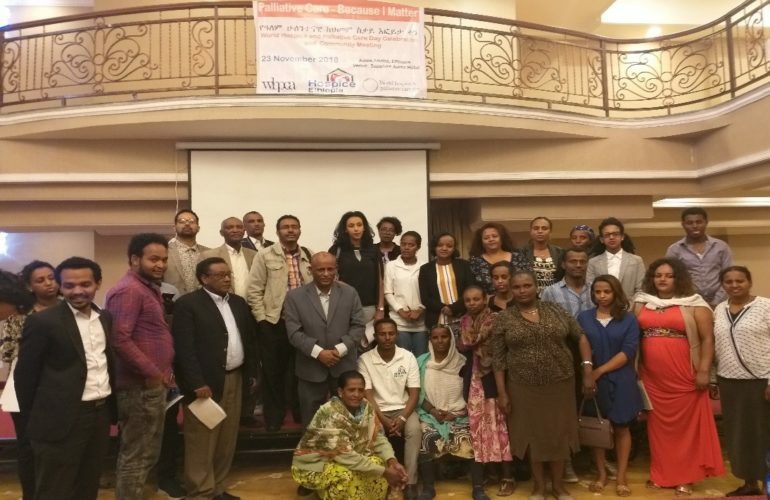 This year, Hospice Ethiopia organised an event in collaboration with the WHPCA, patient advocates and the local community. The aim was to raise awareness and understanding about hospice and palliative care, highlight patients voices about the need for palliative care and start community discussions on issues surrounding palliative care. A total of 41 people attended. 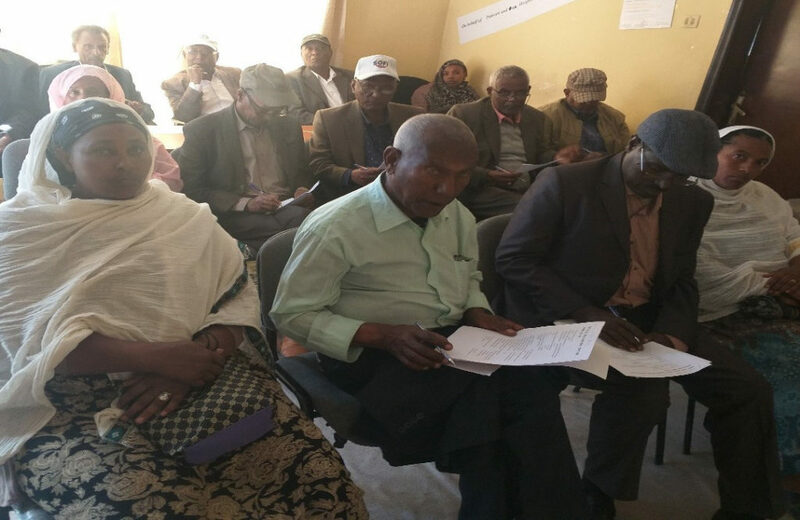 Participants included people accessing palliative care, representatives from the Federal Ministry of Health, referral public hospitals providing palliative care, Addis Ababa University, charities and societies agency, Hospice Ethiopia members and staff, the media, and community representatives. The members of the meeting team were Ephrem Abathun, Hospice Ehtiopia, Dr Yosef Mamo, Hospice Ethiopia board member, Dr Habtamu Menge, Yekatit hospital, Sofanit Mengistu and Kalkidan Abera, beneficiary of Hospice Ehtiopia. The meeting was opened by Abas Hassen, Federal Ministry of Health, Medical Directorate Director and closed by Ephrem Abathun, Executive Director of Hospice Ethiopia. Ephrem Abathun, Executive Director of Hospice Ethiopia, welcomed the participants and spoke about this year’s World Hospice and Palliative Care Day theme: ‘Because I Matter’, highlighting the voices of those affected by palliative care. He introduced Abas Ahmed, Federal Ministry of Health, to open the ceremony officially. Abas mentioned that FMoH has been paying better attention palliative care and pain management. Pain management has been taken as a fifth vital sign and palliative care has been recognised as an essential health care service in Ethiopia. He recognised that relieving the suffering of people is an important task of health care. The Ministry has developed a national palliative care policy and guidelines. Dr Abas thanked Hospice Ethiopia for organising the meeting and all speakers and participants for attending and sharing their knowledge. Kalkidan Abera is one of Hospice Ethiopia’s patients accessing palliative care. She described her situation, and how it was too hard and the suffering was awful before the hospice team visited her. She said: “One could not get in to my home because of bad smell from my cancer wound. I was suffering from untreated pain, and desperate, sad and depressed due to my physical sufferings and socio-economic problems. “I feel much better at present because I have got palliative care. I wish other people who are suffering in their home could access this essential health care service. Sr Tsigereda, the founder of Hospice Ethiopia spoke about the history of palliative care in Ethiopia. She shared that there was not enough understanding and palliative care delivery 16 years ago in Ethiopia. People were suffering from untreated pain. 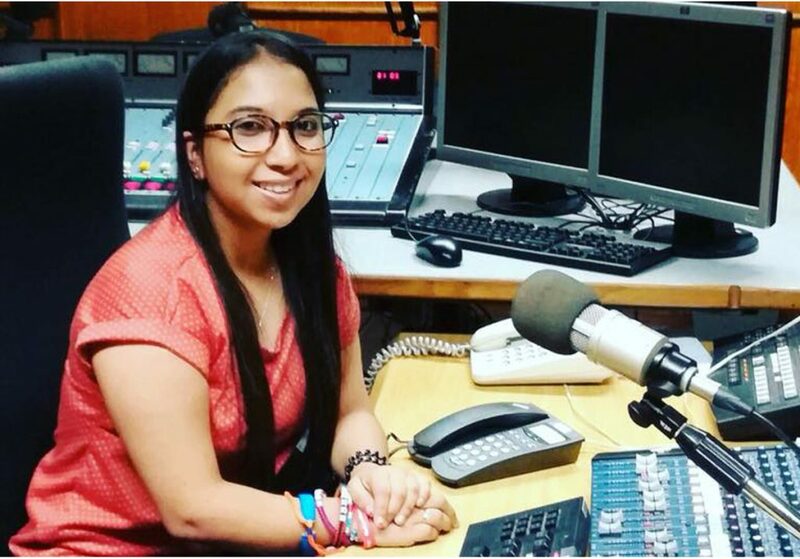 She said: “I realized that the concept was very new and I got motivated to start palliative care somewhere. I started to do home visits, and gradually after four years I got some support to train community volunteers and to advocate for the use of opioids to treat severe pain. Dr Yoseph Mamo discussed what is universal health coverage and how palliative care is linked with it. He mentioned that palliative care is an essential health care service. He said: “Palliative care is part of the strategic development of Ethiopian Health. Despite this fact, many people in Ethiopia do not have access to palliative care and availability is very limited. “Of course, things are better as we have developed palliative care guidelines, and the palliative care training manual, but access to palliative care has to be improved as it is not only an essential health care but also a human right. Sofanit Mengistu, a pharmacist and the former Food, Medicine, and Healthcare Administration Agency Director, emphasised the benefits of production of morphine in the country: “Nine years ago, we produced morphine syrup called Ethiomorph syrup as it is the gold standard to treat severe pain according to WHO. Dr Habtamu Menge, palliative care focal person at Yekatit 12 hospital, highlighted the four pillars (drug availability, policy, education and implementation) for the thriving of palliative care recommended by WHO. Countries like Uganda have much better palliative care progress because they implemented the four pillars. When it comes to Ethiopia, there are challenges in the implementation despite the policy being present. Medication availability, including opioids, is a huge challenge. Furthermore, the level of awareness of palliative care in the hospital management is low. Another patient accessing palliative care through Hospice Ethiopia contributed to the discussion. She said: “I have come to Addis Ababa from the countryside. I am a cervix cancer patient. I am grateful to Hospice Ethiopia as I was in a severe pain and suffering very much from psycho-social problems. I could not have enough words to express my feelings if I try to speak about the care and support that I have received from Hospice Ethiopia. Following the discussion, Hospice Ethiopia staff distributed posters to individual attendees, and to representatives from hospitals to contribute to awareness raising in the community.